According to the Financial Times, the 2016 games were at risk of falling apart due to a long list of problems plaguing host city Rio de Janeiro. Violent crime would put visitors at risk; Olympic venues were incomplete; the distance between venues meant athletes wouldn’t get to events on time; political turmoil could cause the host government to crack up before our eyes. The hype said, “It’ll be a train wreck!” Awful, but we can’t look away. Nothing confirms fears like a good story, and it seemed like Ryan Lochte delivered. On August 14th his story that he and three teammates were robbed at gunpoint at a party was easy to believe for an American public primed to hear about crime in Rio. For a couple of days, Americans sympathized with Lochte’s mother, who insisted the story was true. We thought: How can we know our athletes are safe traveling to and from their events? Of course the Rio police are struggling to find evidence … it’s a lawless place in the midst of political upheaval! But getting to the truth required getting a better look at the big picture. A Brazilian court got involved and shook up Lochte enough to revise his story on the 17th. There were no robbers, just gas station security guards who drew guns on the intoxicated swimmers after James Feigen urinated behind a bush and Lochte knocked down an advertisement with a metallic frame. The swimmers paid the guards for the trouble and were on their way. The hype said the Lochte story was evidence all our fears about Rio were true. In reality, there was a misunderstanding between four swimmers who were being obnoxious and a couple of security guards who were admittedly a little too cavalier with their handling of weapons. After this incident the swimmers left in a taxi that took them to the next item on their schedule, the court handled the situation and the Games went on. The situation was embarrassing, but clearly not evidence that Rio couldn’t handle its hosting duties. The same kind of fear-inducing hype frequently plagues the financial markets. Remember back in late 2013 when the Fed announced it was going to dial back on its bond-buying program in 2014? The $10 billion reduction in monthly stimulus was supposed to bring the stock market to its knees. It didn’t happen. In fact, the Dow Jones industrial average rallied in the fourth quarter of 2013. A more recent example is Brexit. Fears that Great Britain’s decision, by June 23rd referendum, to exit the European Union caused the S&P 500 Index to drop by more than 5% in the first two days. The sky was supposed to fall. It didn’t. Within five days the stock market recovered all its losses and stabilized. Brexit was not the big scary monster it was supposed to be. Is there crime in Rio? Yes. Will the stock market dip from time to time, sometimes drastically? Of course. But those are only snapshots, not the whole truth. To see the bigger picture you have to turn down the volume on hype. Rio was a success because its organizers and host city took preparing for the Olympics as seriously as the world-class athletes who performed there. They made a plan and executed it despite the hype about all challenges before them. We’re pretty anti-hype here at Lifeguard Wealth. We know that to work with a financial advisor to develop a sound investment strategy is to make a plan that, when followed, stands the tests of pundit hype and unfounded fear. 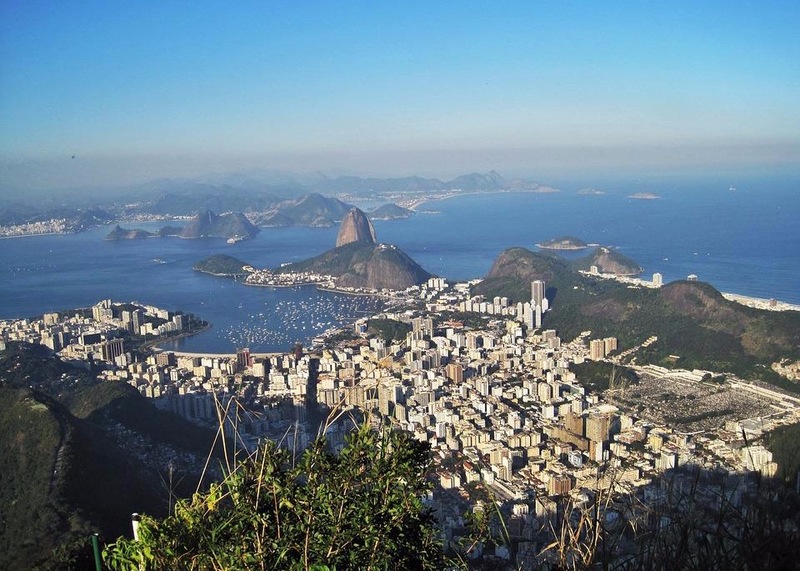 When you’re tempted to believe the hype and wander off course, just think of Rio. The 2016 Olympic Games were spectacular; why should the rest of your life be any different?